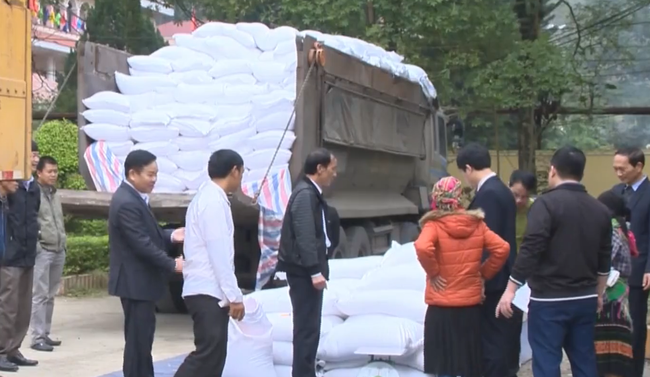 VTV.vn - On the occasion of the Lunar New Year, 14 poor provinces across Vietnam, with over 520 thousand people living in difficult circumstances, are currently receiving support, with over 7800 tons of rice to be distributed from the national rice reserve. Until now, the distribution of rice has nearly been completed and has contributed to helping people living in difficult areas regain stability in their lives. The distribution of rice is expected to be finished by February 1st. Copyright, VTV News, Vietnam Television (VTV). Licence No. 306/GP-BTTTT dated February 22, 2012 by the Ministry of Information and Communications.